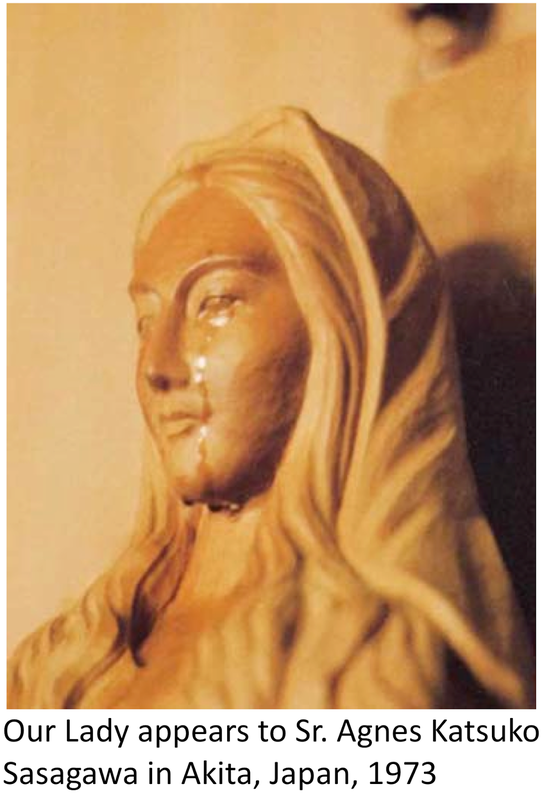 Ibo et Non Redibo: Apparitions – Should We Care? Some claim that since the fullness of the revelation of God came through Jesus, there is no more to reveal. All has been given. Period. This is absolutely true: The fullness of revelation is in Jesus, and Jesus, the revealer, has come to reveal to us who the Father really is. But if we step back a moment and examine even the most recent apparitions, we will quickly realize that apparitions do not claim to reveal to us anything new about God. They don’t try to fill in the gaps about who the Father is, as if Jesus somehow forgot to include something in his discourses. We will quickly realize that most of these messages are prophetic in nature, and I do not mean it only in a predicting the future way. They are prophetic in the sense that they relay to humanity a message from God – a message that the people need to hear at the moment of the apparition. They are no different than the prophetic apparitions of the Old Covenant. Take Jeremiah the prophet, for example (born ca. 657 BC). Jeremiah was a prophet to Judah before the fall of Jerusalem, calling them to conversion and repentance. He warned Israel’s southern kingdom of Judah of its pending doom if they did not change their ways. They did not listen and Babylon destroyed the city and took the Jews captive. Jeremiah did not bring new laws to the people, nor did he have anything especially interesting to say. The message was simple and desperately needed at the time: turn away from what you are doing now, or else things will go badly for you. Recent apparitions seem to deal with similar topics. Their very existence shows us God’s continual care and love for his people. God did not stop speaking to us with the Ascension of Jesus or with the apparitions that the disciples received in the book of Acts. Indeed, God always tries to warn us and wake us up from our spiritual slumber. Some of the messages are admittedly very uncomfortable, as some recent ones touch on the unfaithfulness of priests and certain practices that have crept into the Church. Though thousands of years later, the message could have easily been given to the prophets of old and would have nicely fit into their prophetic texts. Nevertheless, I think it is important to note that the message’s purpose is not to scare and sensationalize, as some people receive it, but rather to call the people of God to repentance and to self-examination, something that we all need to do regularly. Since such apparitions are becoming more frequent and dire, it may be because we need a stronger reminder. Maybe we are growing deaf and God needs to shout louder. If it is in fact God who is trying to reach us through these apparitions, should we not make an effort to listen to what God has to say to the world today? Each person needs to examine these apparitions and their messages himself. They’re out there – the Internet is a great tool to access them. Find them. Read them. And see for yourself if they are indeed important and how they mesh with what is going on in the world, rather than going by the negative things others say about them. One must nevertheless be cautious when we examine these apparitions. Are they all from God? The Beloved Disciple warned the early Christians to “not believe every spirit, but test the spirits to see whether they are from God, for many false prophets have gone out into the world” (1 Jn 4:1). This is a call to discernment. As such, Rome has provided some criteria for assessing the authenticity of apparitions and discerning God’s presence in them. These are by no means the only criteria, but they eliminate many hokey apparitions.